We're black stripes on a blue Z28 considered special paint? This Z28 has a - - on the cowl tag. Yes, stock stripes would have been white, special paint would have have been ordered to get back. I personally think black and blue look awesome together! Awe Ha, Service Members Cars. (Hint The Dod Base Stickers on the right (Left) Correct side of the front Bumper. Wonder which 68 Model year blue that is? Looks like it has body colored rally wheels which definitely have been observed on some special paint Camaros. Does it have a blue vinyl top? I would like to know more about the car. Here is the information on special paint. It sure looks blue in the picture and agree with Bryon as many of us would like to know more about that Camaro. X2 on the great eye Jon as that did not jump out at me. On a side note, love the 65 goat beside it as that is one of my favorite cars. Sharp GTO too. Looks red with white top. You guys that like GTO's, here is a original owner with his 1965? GTO, the picture was taken at my house in 2010. BTY he was 83 years old at the time of picture. I was going to say that looked like the PNW and then I saw the plate. Yep. It was bought new at Vernell Chevrolet in Tennessee. 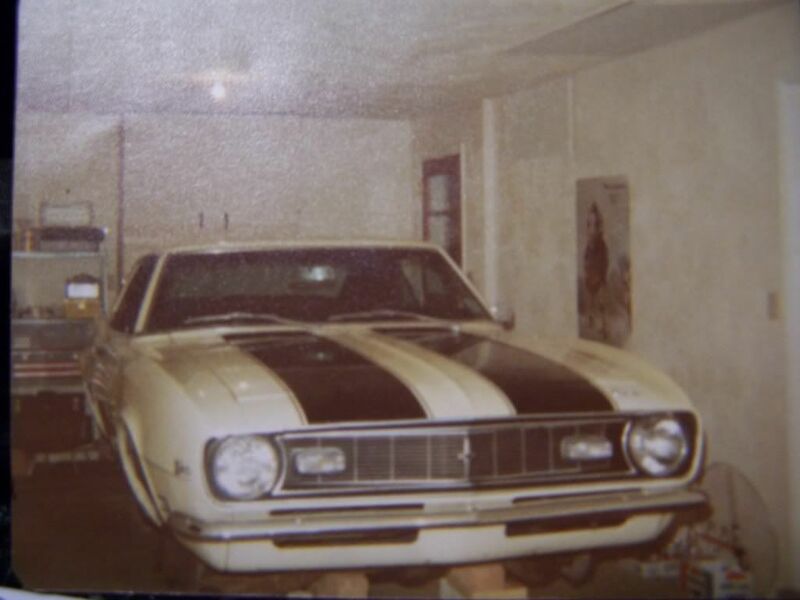 The original owner was in the Navy and ended up in Groton CT with the Camaro. He traded the Camaro in on a 1972 El Camino at Scuncio Chevrolet and Bob Johnson handed the car over to Steve Starre and Carl Roberts to run in his race team. This is the car today with one repaint and the original vinyl top. This photo was taken after the cowl hood was added not long before it was traded in at Scuncio. So it was originally Lemans Blue, black stripes and black vinyl top? Any docs that indicate the details of the special paint?